Steven is a consultant for Expeditionary Learning Schools. He works with teachers to design curriculum and improve instructional practice, and conducts workshops in project-based learning throughout the country. Levy has taught every grade level from kindergarten through college in his 28 years of teaching. He was recognized as the 1992-93 Massachusetts Teacher of the Year, and honored by the Disney American Teacher Awards as the national Outstanding General Elementary Teacher in 1994-95. In 2001, Mr. Levy was the recipient of the Joe Oakey Award for his national impact on project-based learning. He received the John F. Kennedy Prize for the teaching of history, and his project, "Lexingtons, USA" was highlighted by the American School Board Association. Mr. Levy and his fourth grade students were designated "Conservation Heroes" by the National Park Service for their study of the effects of a local bike path on the environment and the community. Mr. Levy has written various articles for educational journals, and his book, Starting from Scratch, was published by Heinemann in 1996. 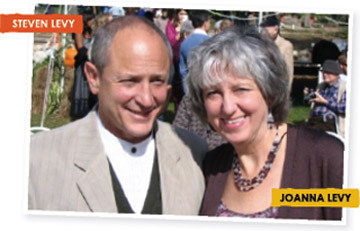 Joanna has been a teacher in grades 3-8 for 20 years. She was also the Instructional Guide at Covenant School in Arlington, MA for four years, leading professional development for teachers in curriculum design and instructional practices. She is currently Principal of the elementary school at New Covenant School. 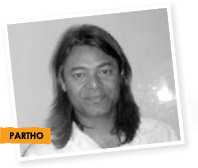 Partho has spent more than twenty five years in the field of progressive and alternative education and has done extensive personal research in the philosophy and practice of integral education. integral education schools in the country and has inspired several other attempts at alternative schooling in the country. Partho headed the Mirambika School between 1994 and 1999. After leaving the Mirambika School, Partho headed the Blue Mountains School in Ooty for three years, during which time he got involved in research in alternative pedagogies and curriculum development. Between 2001 and 2008, he was involved with Sri Aurobindo Foundation For Integral Education And Research, (SAFIER) a unit of the Sri Aurobindo Society of Pondicherry, which he headed as its director. He now heads his own organization, Auroveda Gnosis, engaged in the fields of educational research, teachers' and corporate training. Partho has recently authored a book on Integral Education (Integral Education: A Foundation for the Future, published by the Sri Aurobindo Society and the UBS), and is currently working on a book on education and self-actualization. EBLS has developed many experiential exercises and self-assessment instruments including the latest Kolb Learning Style Inventory 4.0. The EBLS program of research on Experiential Learning Theory continues in collaboration with an international network of researchers, practitioners and learning partners. He was a professor of organizational behavior and management at the MIT Sloan School of Management and at the Weatherhead School of Management, Case Western Reserve University where he is currently Emeritus Professor of Organizational Behavior. He is best known for his research on experiential learning and learning styles described in the new Second Edition of Experiential Learning: Experience as the Source of Learning and Development. 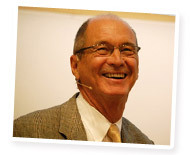 In addition he has authored many other books, journal articles and book chapters on experiential learning. He currently serves on the editorial review board of Simulation and Gaming where he is the experiential learning section editor. David has received four honorary degrees recognizing his contributions to experiential learning in higher education. Alice Kolb is the President of Experience Based Learning Systems (EBLS) a research and development organization devoted to research and application of experiential learning in organizations worldwide. As President of EBLS she facilitates research and practice initiatives of the international network. 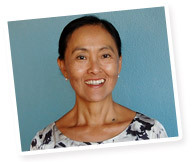 She was a co-developer of the Kolb Learning Style Inventory 4.0 and was the leader of the team that developed the Kolb Educator Role Profile, an inventory designed to help educators apply experiential learning principles in their work. She received her Ph.D. from Case Western Reserve University in Organizational Behavior where she was an Adjunct Professor in the Weatherhead School of Management. Her research focus on creating learning spaces conducive to deep learning led to her paper "Learning styles and learning spaces: Enhancing experiential learning in higher education" published in Academy of Management Learning and Education and "Learning to play, playing to learn: A case study of a ludic learning space," published in the Journal of Organizational Change Management. She received the 2008 "Educational Pioneers of the Year Award" from the National Society for Experiential Education (with David Kolb). She is fluent in Portuguese, Spanish, Japanese and English.